Coke or Pepsi? Netflix or Hulu? Sprint, T-Mobile or Verizon? No matter which brands someone prefers, everyone can agree that the Super Bowl features some of the most memorable commercials of all time. From the outright hilarious to the moving and sentimental, these commercials are united by their ability to make a lasting impression. While memorability is one quality that underscores these commercials, it’s certainly not the only one. As we all know, these commercials are also united by the enormous budgets that support them. 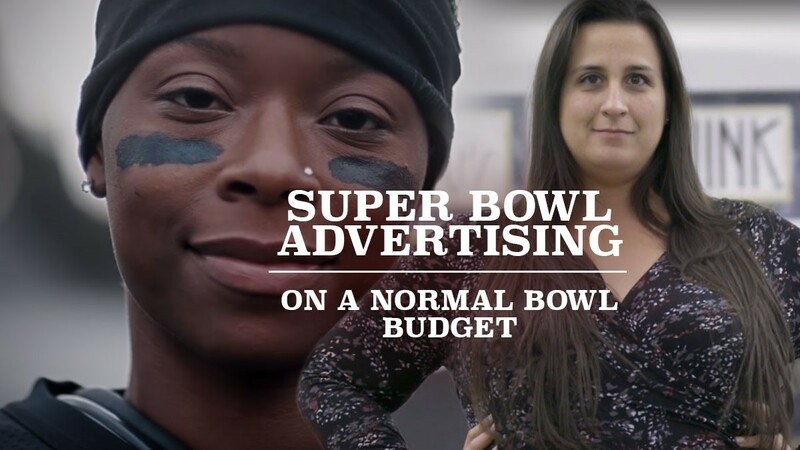 Just because your organization doesn’t have a Super Bowl-sized budget doesn’t mean it can’t produce a video that makes the crowd go wild. At LAI Video, we consistently produce videos that achieve our clients’ communications goals. Here are five tactics companies used in their 2019 Super Bowl commercials that we incorporate within our clients’ videos. Everything about your brand—down to its logo and design standards—tells a story. Infusing your brand’s visual components to create a cohesive look-and-feel throughout a video can be a powerful way to bolster brand awareness. During Super Bowl 2019, T-Mobile accentuated its commercials’ simplicity and clarity by prominently featuring its signature pink. Yellow Tail’s “Tastes Like Happy” also integrates the brand’s design elements, incorporating its unmistakable yellow brackets to spotlight how the wine encapsulates life’s happy moments. At LAI Video, we integrate our clients’ visual identities within their videos to drive powerful messages. 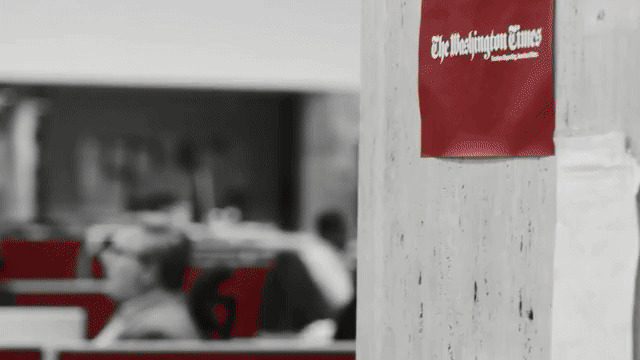 Our Real News for Real Americans series for the Washington Times incorporates pops of the paper’s signature crimson, reminding consumers of its reputable legacy. We also accentuated So Others Might Eat’s recognizable green in its Humanitarian of the Year Tributes, presenting the organization as a vivid beacon of hope. Humor can make an audience receptive to a brand’s message in ways that otherwise wouldn’t be possible. By creating a fictional, comedic character that drives a video’s plot, organizations can unleash the real, human element behind their brands. Diving in as one of the first ads to air during the Super Bowl, Bon & Viv Spiked Seltzer’s spot featured two mermaid “founders” who pitch the seltzer to a group of sharks. Fueling a comedic “suspension of disbelief,” the commercial personifies the brand’s mermaid-inspired logo and makes clear that the “myth” that the brand is “too good to be true” is indeed just that—a myth. 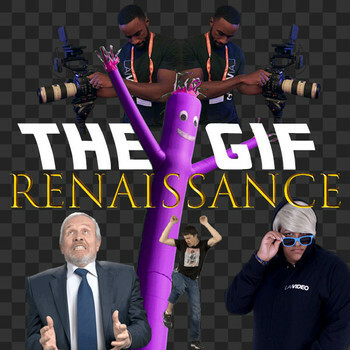 While Bon and Viv’s ad personified creatures of legendary tales, LAI Video’s #GiveaCrop commercial series for CropLife America spotlights characters that are much more mundane. Embracing our inner comedy bug, our team produced a series of spots that feature a Pest, a character so vile that he interrupts everyday scenarios. Through slapstick humor, the sketches grab the attention of consumers and policymakers, humorously conveying the need to “give a crop” about crop protection. While everybody makes mistakes, it’s often the people who can laugh them off that seem the most relatable. Extended to advertising, embracing your goof-ups can be another powerful way to show your brand’s human side. While its commercial is fictional, Amazon’s “Not Everything Makes the Cut” featured some of the hilarious situations that influenced Alexa’s creators to scale back the technology’s power. Sharing these entertaining outtakes, Amazon’s spot reminds viewers that Alexa is, in fact, a very helpful robot. On the flip side, our campaign video for Bright Beginnings spotlights not a robot, but a very helpful human. 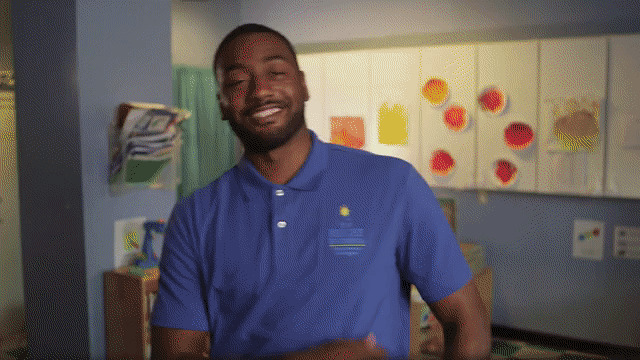 Leveraging local celebrity— five-time NBA All-Star—John Wall of the Washington Wizards as the face for Bright Beginning’s new campaign, we produced a video that embraces John’s on-camera flubs. Through this technique, we were able to embody John's natural, off-camera charisma within the mix, making for a memorable message—one that chooses celebration over a lecture. Embracing a spokesperson who embodies your brand’s ideals can help consumers to discover your organization’s impact beyond the face-value of its products or services. In its 2019 Super Bowl commercial, Toyota features Toni Harris—who may become the first woman to play in the NFL—as its spokesperson. Driving viewers through a barrage of visuals that demonstrate how Toni has “shattered perceptions,” the spot makes clear that Toyota’s RAV4 Hybrid is not just a fantastic vehicle; rather, it is actively challenging assumptions about hybrids. LAI Video’s “We Are WGR Spotlight” for Women in Government Relations also features a spokeswoman who has risen to success within a traditionally male-dominated field. The “day in the life” episode features Suzanne Swink—a woman whose impressive career has been influenced by the support and inspiration of personal heroes, within what was previously an “all boys club.” Emphasizing that success isn’t about a job or money, but rather, a feeling of empowerment and the ability to enrich the lives of others, Suzanne’s story encapsulates the ideals that define Women in Government Relations. Sometimes, the best storylines are hiding in plain sight. By questioning the audience’s understanding of seemingly mundane topics, advertisers can encourage a reimagination of possibilities that supports their organization’s objectives. For its Super Bowl spot, Olay aired a hilarious sketch on the meaning of “killer skin.” Featuring a fictional, masked murderer and his appreciation for a women’s makeup routine, the commercial certainly leaves a memorable impression—while portraying a comedic touch not often associated with skin care lines. Though more serious in its tone, LAI Video’s partnership with Share Our Strength on its No Kid Hungry initiative also encouraged Americans to question the ordinary—and even actively challenge it. 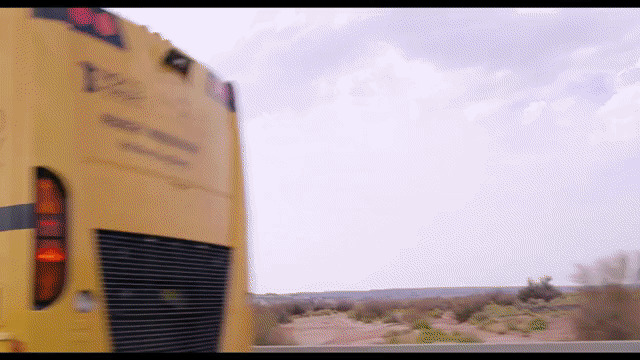 Traveling across the country in a school bus-themed RV, our team urged local communities to rethink the term “hangry,” get mad about hunger and produce #hangry testimonials. 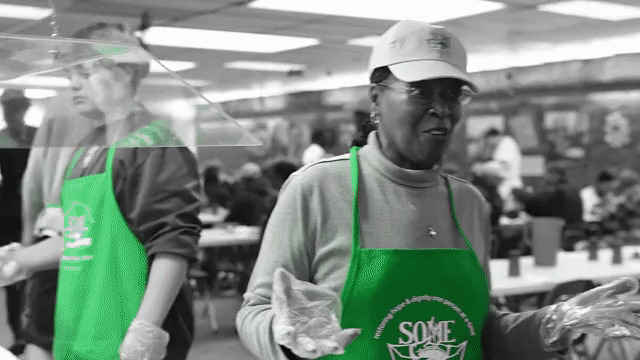 As we launched these testimonial videos onto a campaign microsite, we reminded Americans that when enough people get together with a shared mission, ending something as pervasive as childhood hunger in the US becomes possible. Through the strategies described above and many more, LAI Video regularly produces videos that create a powerful and lasting impact—even when our clients’ don’t have game-day budgets to spare. Our team is always discovering new and innovative ways to bring our clients’ creative visions to life through powerful video-driven campaigns. Let us help identify your industry’s hidden stories, curate cohesive messaging, and deliver engaging videos to create deeper connections with your audience, build greater brand awareness, and broaden your campaign’s reach and exposure. Do you have an industry story that needs telling? Do you have a moving industry topic just waiting to be shared?